The Ashburn Cup is an annual round robin tournament played over Memorial Weekend for our A, AA, AAA, AAAA, Intermediate, and Softball 5/6 divisions. 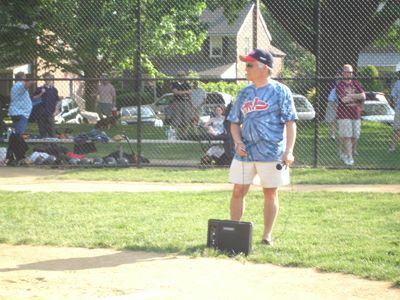 The tournament was founded by Joel Bernbaum, former president of the league. Joel's vision was to provide an exciting baseball experience over the holiday weekend for the LMLL community. The Ashburn Cup is not designed as an All-Star game, but rather a holiday baseball event for the LMLL players and families to get together play and enjoy baseball. Play starts on the Friday night, and continues through the weekend, culminating in a championship games for each division on Sunday.